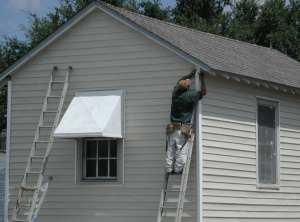 When it comes to installing new siding on your home, it’s essential to familiarize yourself with the choices at your disposal. Your home is your most important investment. By making an informed decision when it comes to siding, you maintain both the aesthetics and the structural condition of that investment. Gravina’s Windows and Siding are your home team for siding in Denver. We offer a variety of types, including steel, aluminum, and fiber cement. We also provide two of the most popular types of siding among homeowners: wood and vinyl. But which is right for you? ● Gravina’s uses premium engineered LP wood. Our product is designed to give you the natural look of real cedar without the hassle of upkeep traditionally associated with wood siding. ● LP wood siding is exceptionally long-lasting. ● Don’t want to paint? Our LP siding is available pre-painted and pre-finished. ● Gravina’s wood siding is engineered to resist rot, fungal growth, and termites. ● Choosing LP siding gives you a 50 year prorated limited warranty. Drive around looking at siding in Denver and you’ll likely see a lot of vinyl. This material has become popular for a couple of reasons. First of all, the installation is easy–it snaps right into place–and that means you save on the cost of labor. Secondly, vinyl siding allows for more energy efficiency. The material is thinner, so there is room for insulation between it and the sheathing of your home, and that can have a dramatic impact on the price you pay for heating and cooling. ● An array of colors are available–choose the right look for your home and style. ● Gravina’s vinyl siding is strong and long lasting. ● Choosing vinyl siding gives you a lifetime limited warranty. The best way to get started replacing your siding in Denver is to schedule a free consultation with Gravina’s Windows and Siding. A certified specialist from our team will visit your home, discuss your needs with you, and show you samples of the high-quality products we have available from a variety of manufacturers. Turn your house into your dream home. Call 303-936-7023 to contact the experts at Gravina’s today.